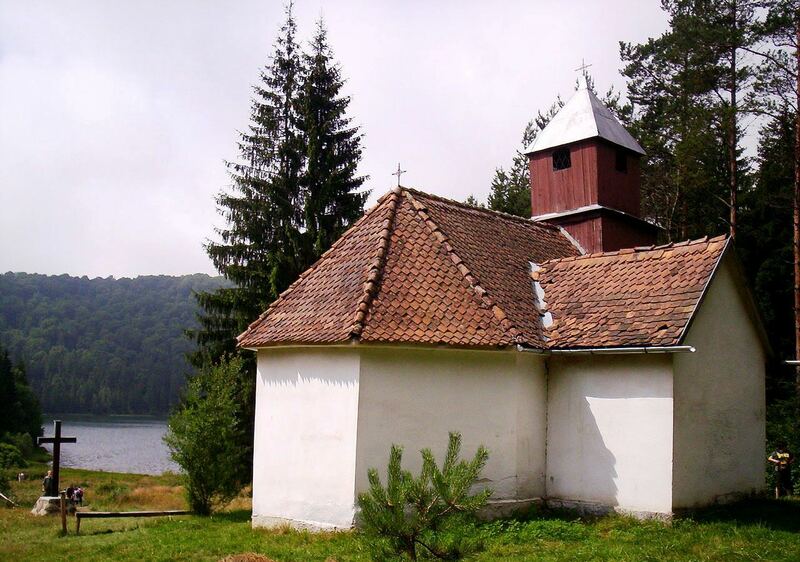 The only volcanic lake in Central Europe, Lake Saint Anna can be found in Szeklerland, and besides being a breathtaking place to visit it has a beautiful legend about its origin as well. 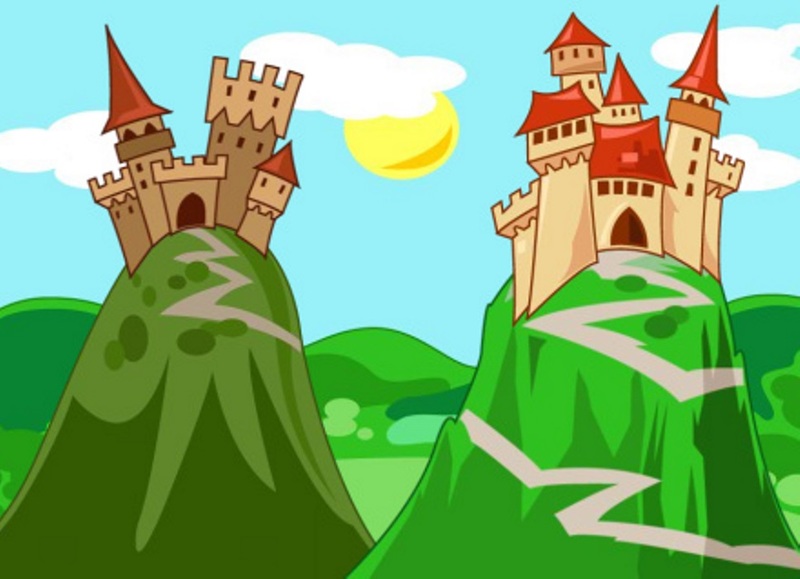 According to the story, there were two rich evil brothers living on top of two adjoining mountains. The elder brother ‘s palace stood on the place of Lake Saint Anna, while the younger’s nearby on the top of Mount Büdös. They were always competing with each other and once the competition was about who can harness the more beautiful horses to his carriage. The elder brother had an extreme solution and instead of horses he put front of his carriage the twelve most beautiful maids of the region. But the girls couldn’t even move it as it was way too heavy for them. The lord got angry and started whipping the girl in the front, who was the most beautiful one and whose name was Anna. In her pain she prayed and cursed the evil lord and because of that soon an awful storm came, the sky turned black and heavy rain was falling. Even the earth started to shake and finally the whole castle was buried in the earthquake and a lake arose in its place. When the storm retreated, only twelve swans were left behind swimming peacefully on the water but after shaking their feathers they transformed back into girls. Eleven of them hurried home into their villages, except Anna. She stayed at the lake shore, built a chapel and remained there for the rest of her days praying silently. This is the legend, but what happened in reality? Lake Saint Anna can be found on the top of Csomád mountain, which is actually a volcano which was last active 32 thousand years ago, and since then a lake had been formed in its crater. A chapel, much like the one mentioned in the legend stands on the shore of the lake. Maybe not for thousands of years, but it has been there for several centuries, which is still a really long time. The first written document mentioning a chapel by the lake is from 1349 and Saint Anna is still so highly respected among locals that each year on the 26th July they organize the Saint Anna Kermis by the chapel. When I first saw the lake I didn’t know neither the legend nor the scientific explanation of its birth. I only knew that I felt in love at first site for this small pearl of nature. It was a warm August day in 2001 when our student group arrived here after a long hike. I first saw the lake after we finally stepped out from the woods and its beauty took my breath away. Later when I swam into the middle of the lake and looked around I only saw trees all over the edge of the crater and the blue sky above my head. Never before did I experience such peace surrounding me and I felt something inexplicable. I felt like I arrived home. I can still recall this feeling, which lures me to return here over and over again. If you ever visit Lake Saint Anna you should also take the time to see the nearby Mohos Peat-Bog, which is just in the other crater of Csomád. According to scientists some natural processes could eventually turn Lake Saint Anna into a swamp too. One of these reasons is that the volume of rainwater added each year is less than the volume of the evaporating water. 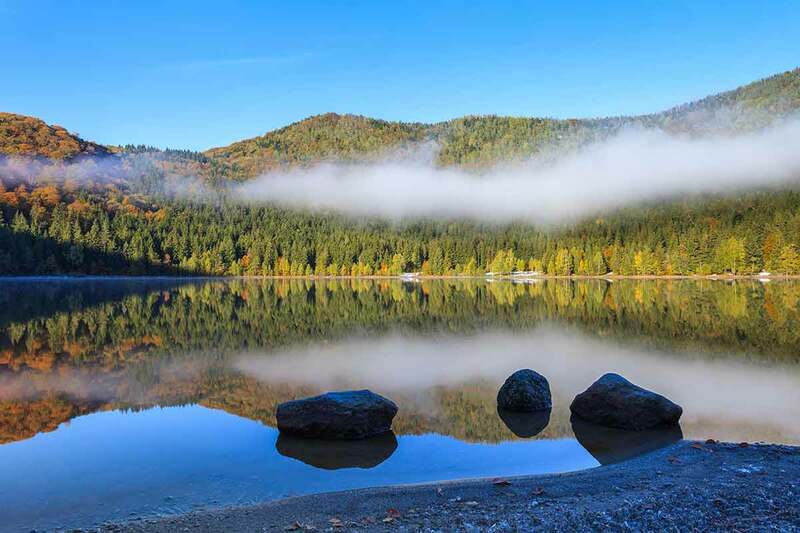 It is a problem because the lake is a “closed lake” – meaning it is only fed by rainfall and not by any streams – so its the depth is constantly decreasing. While it was 12 meters deep back in 1867, in 1907 it was 8,5 m and now it is only 7 m.
Also the ecosystem is going through some changes. For example, until recently the lake had no lifeforms at all because the water was as pure as distilled water, but in the last decade a certain fish species (the silver Prussian carp) appeared and proliferated in the lake. The fish eggs supposedly arrived to the lake by sticking on the legs of wild ducks which have been nesting by the lake for many decades. Local environmental organizations are trying their best to save the lake from these multiple threats. This is why bathing in the lake was prohibited this Summer. As a result of this ban, the lake will at least be spared from the ever increasing amount of sunblock from the visitor’s bodies during Summer time. Swimming will only be allowed the future during sport events (running, triathlon) organized there. So if you want to swim and take a look around from the middle of the lake you have to register to one of the races. But don’t worry: if you just walk around the lake, or simply sit down by its shore you will also experience that unique peaceful atmosphere surrounding you.